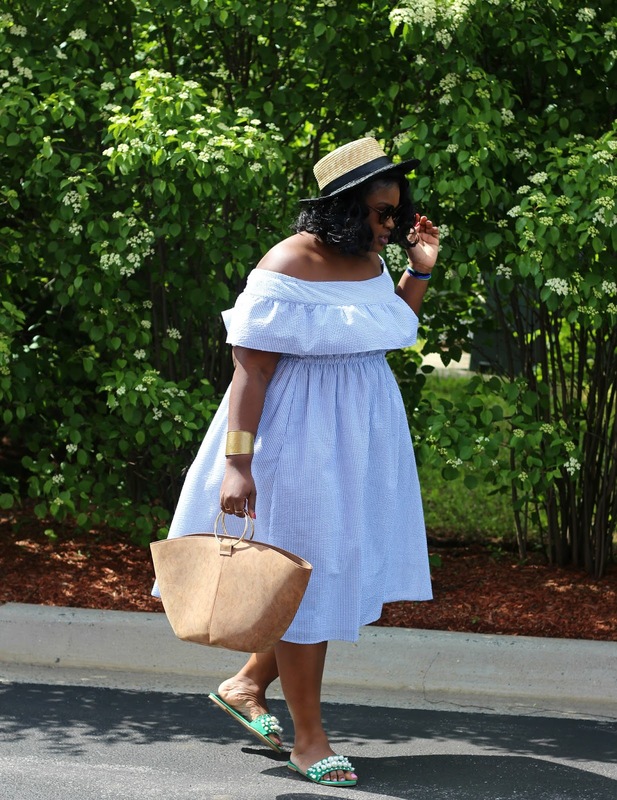 As soon as I saw this summer dress (Off the Shoulder Dress with Ruffle Overlay) I knew it would be perfect for the weekend. 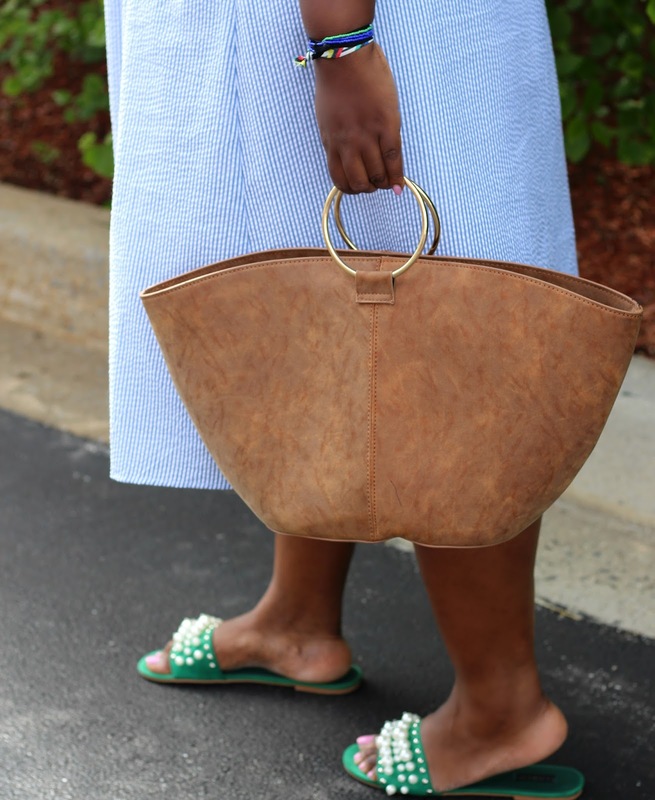 I choose to pair it with the (wide width) Maura Embellished Slides also from Eloquii but you could totally pair the Dress with wedges or lace up sandals. 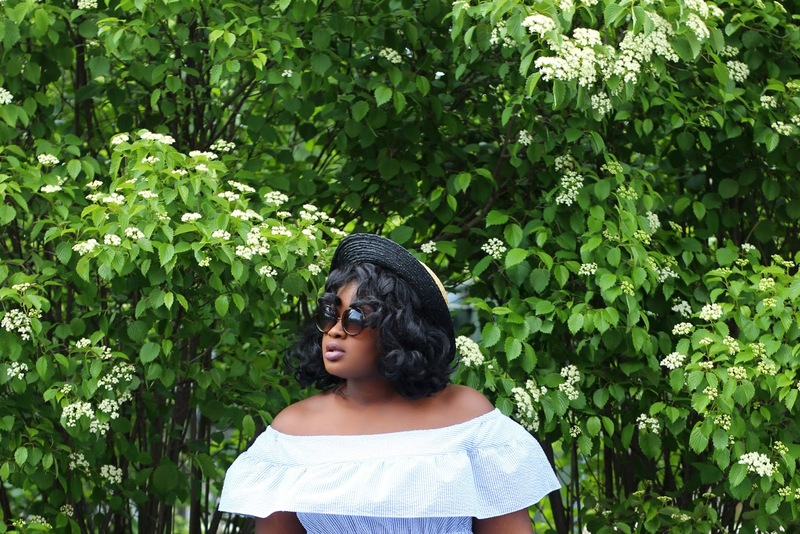 For accessories I chose a Ring Tote and a two toned Hat from Target and to finish things off I went with circle Sunnies from Forever 21 (had them for ages). 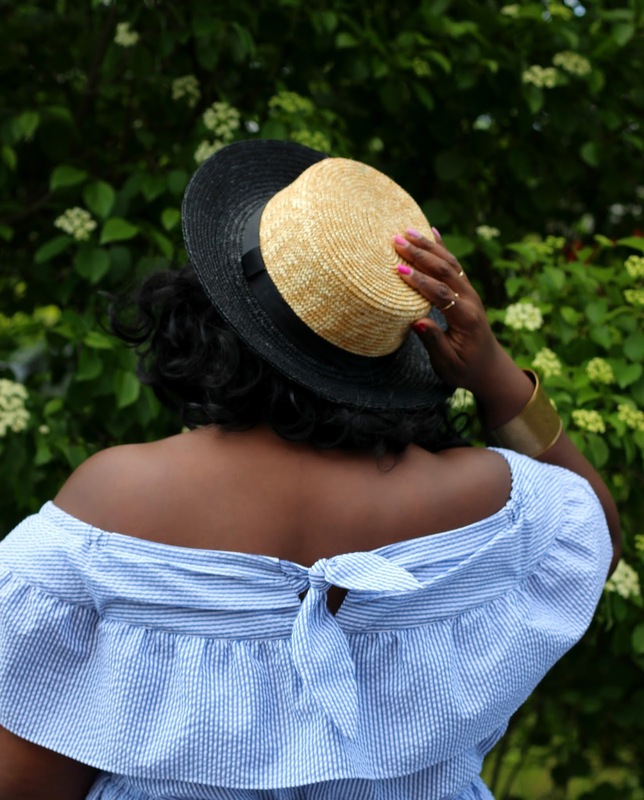 Are you loving all this talk of weekend wear, sign up for our Newsletter for exclusive content and upcoming happenings also follow this blog on Bloglovin so you never miss a post. 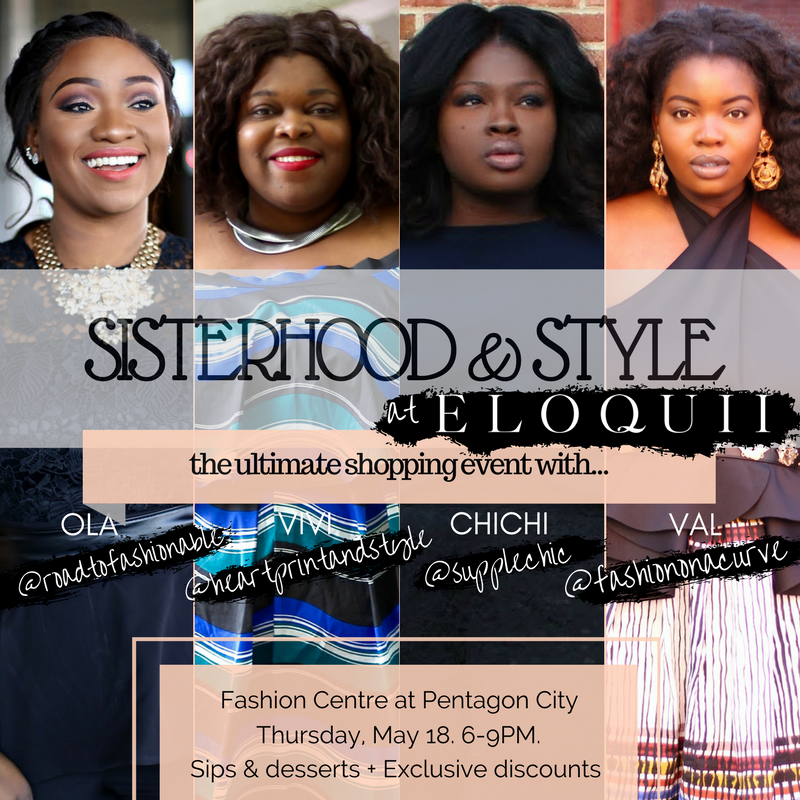 In case you missed it (shared on social) I will be at the Fashion Center in Pentagon City from 6-8:30 pm tomorrow Thursday the 18th of May for the Sisterhood of Style event in conjunction with three of my favorite blogger Gals OLA @roadtofashionable , Viv @heartprintandstyle , and Val @fashiononacurve. 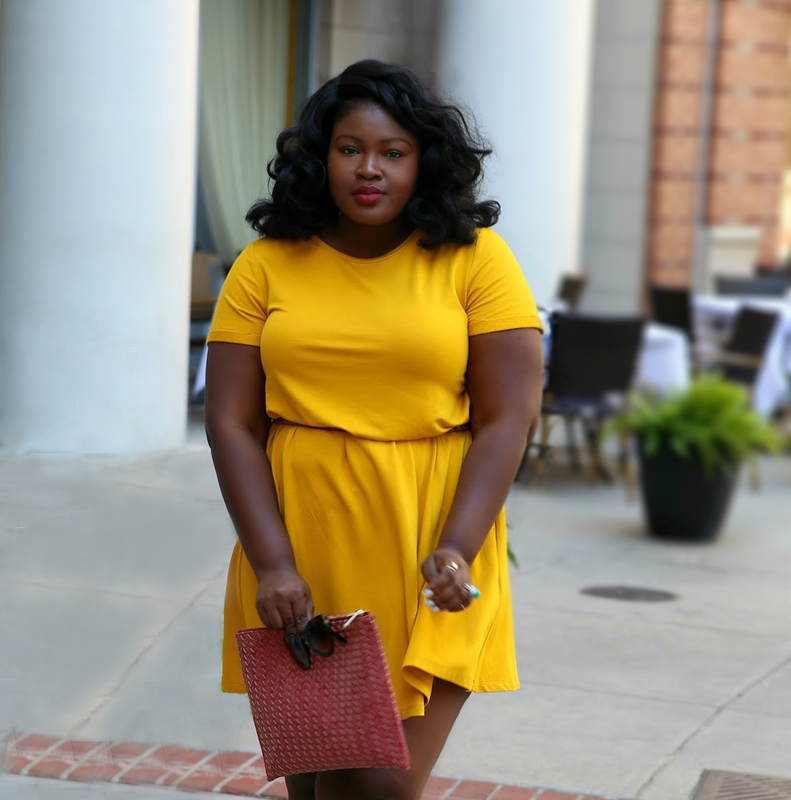 Come sip, shop, save (up to 40% off) and talk about sisterhood!! cant wait to see you there! 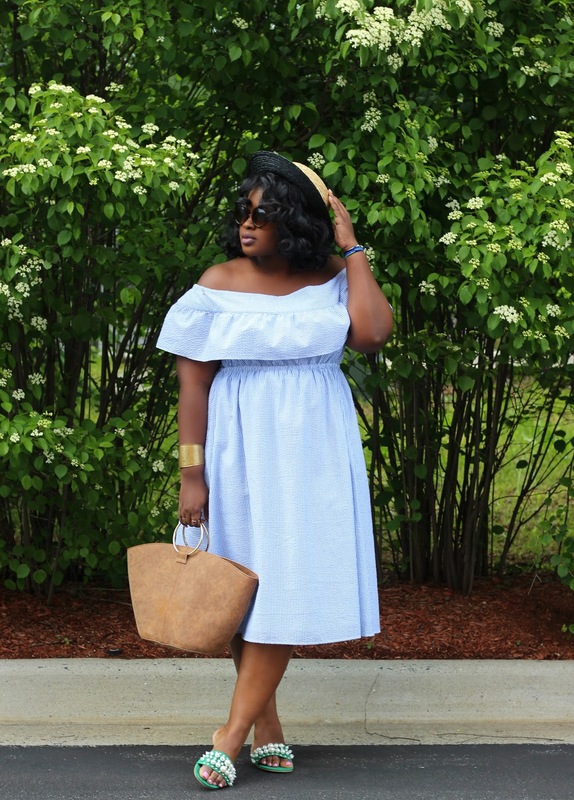 First of all, these pieces are so good.As usual stunning post, Thanks for sharing! 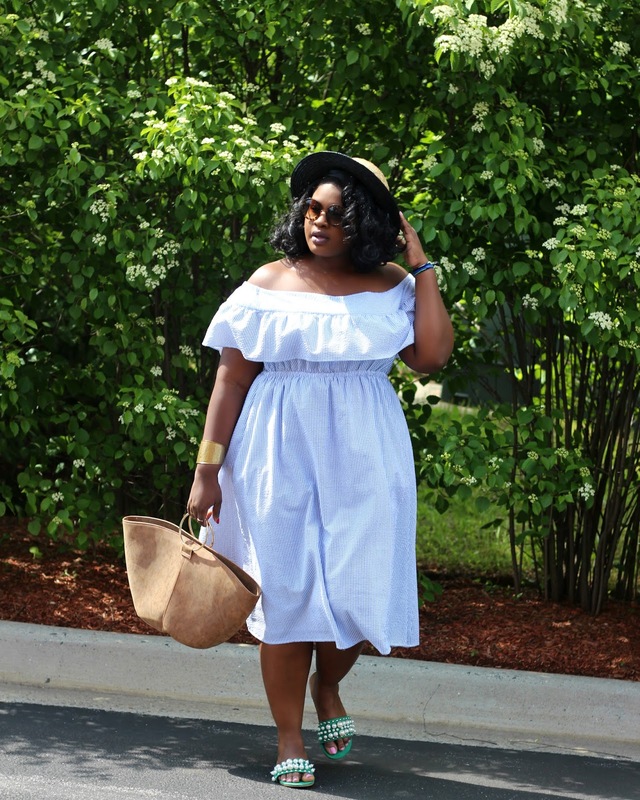 Lovely collection of summer fashion.